Runde's Room: Pin it to WIN it! You guessed it - it's that time again ... TeacherspayTeachers' GIANT Cyber Monday (plus Tuesday) sale is right around the corner. From Sunday, November 25th until Tuesday, November 27th, ALL my products will be on sale for 20% off. On Monday and Tuesday, when you enter the code CMT12 at the checkout, you will receive another 10% off your order. Pretty sweet, right? Well, I want to sweeten it a little more for you. 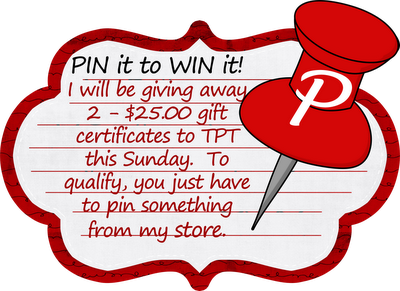 On the evening of Sunday, November 25th, I will be giving away 2 - $25.00 gift certificates to TPT. To enter, simply "pin" something from my TeacherspayTeachers store (by clicking on this link or the images in this post) to one of your boards on Pinterest. Please leave a comment below with the link to your pin. You can enter as many times as you want, but please pin a different product for each entry. I will be drawing two names (using the random number generator) from the comments left below. Happy Pinning!!! Thank you for being an awesome teacher and helping me! Crossing fingers, pin to win! Hope I win! I have lots to purchase, starting at your store! I pinned your Thanksgiving Drama Circle. You know how much I love those things!!! In my cart and on my board! How to write a math journal! You know how I love your blog! I've bought every single one of your writing workshop packages. My kids LOVE them all!! Pin to win! I am so buying this! Then I pinned the story element cootie catcher- love this for older kids! Pin it to win it!! Whoo!! Hoo!!! Love your Interactive Math Journal. I use this FREQUENTLY! LOVE it! My class is over the moon for this! Can't wait to introduce the Christmas one to them! we use these during centre time...the kids love fanning them out! drama circles Rock and the kids love them! I pinned your interactive math journals - so great! Thanksgiving Drama Circle - love it! Use the interactive math journal all the time! One of my purchases was the interactive notebook. Can't wait to start using it with my students! I love the comprehension traffic light concept, especially for my special needs students who are more visual in their learning style. This one is on my wish list too! 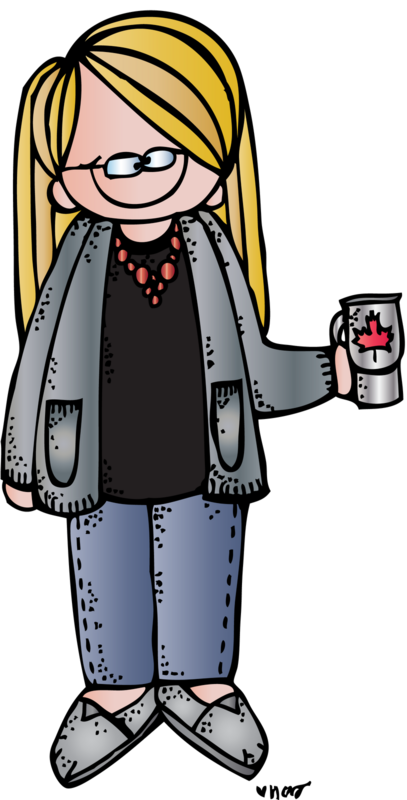 Happy to see a Canadian teacher blog about such great teaching ideas! Thanks for sharing! I pinned the genre question fan! Love it! Already have this one and love it! See, I was serious about pinning your entire store! Thanks so much for all you do that makes my life so much easier! I feel like I just hit the Motherload! I love your Interactive Math Notebooks. I have been struggling with my this year and I think I might have found something that will help my students! I am so excited! Here it is on Pintrest! Here I am again! This might be my 2nd favorite thing! I am entering your pin to win contest! Here is my pinterest link with your Interactive Math Journals. cannot wait to try this unit! starting this one tomorrow - fun, fun, fun! another great activity. Looking forward to implementing next september. Unfortunately, I found you too late to run it this year. I absolutely love your stuff!!!! Getting ready to work on summarizing! I would love to use this with my kiddos. Too much fun! This would be great to try next year! This would be great for our ELA units! Reading Workshop and this would be just ideal! Story Elements study will work great with these! I would love to start using these. Great end of year project! I love a book challenge! A great resource for Figurative language! I pinned your awesome math journal! Thank you! Love the Interactive Math Journals! Math Cootie Catcher! Thank you! LA Cootie Catcher! These are awesome! Thank you! and the "Literary Elements Resource"
I just loved your "Length of a Summer" activity. It was such a great way to begin the school year and assess their math schools too. I'm hoping to purchase some of the items on my wish list. I pinned your "Interactive Math Journals," http://pinterest.com/pin/34762228345403002/. I pinned Fraction Sundaes! Fun! This looks like a great way to work with fractions. Can't wait to try it. It' s in my cart. This will be great to use for our fairy tale unit. I just found your site! Looking forward to using the Interactive Notebook next year in my classroom! I use this every week! use this all the time for all subject areas! I am ready to shop that sale tomorrow! I love all of your products! I hope to add more to my classroom!!! Hoping to win the Interactive Math Notebooks..it's on my Wish List! I am a huge fan! Your products are all fantastic! I hope to win! Pinned and ready to win! I am looking forward to buying a few things tomorrow! I pinned the Jelly Bean Math this time. I really enjoy your work!!! Love the interactive math journal!! I just started doing math journals this year and haven't been as dedicated as I'd like to be. I am excited to see this resource!! I teach 7th and 8th grade math and love the cute fraction cootie catcher! As fractions continue to be a part of the math curriculum, it is so important to review these skills. This is a fun way to do that! !